Head over to score one of these Soft Baseball T-Shirts and Flowy Tank Tops for ONLY $13.99 (Retail $28.99)! 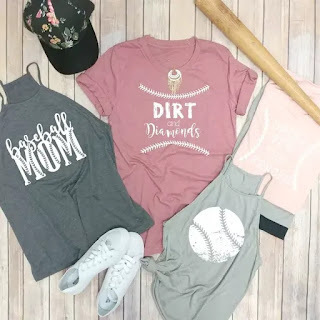 Head out to the Ball Game wearing your new Soft Vintage T-shirt or tank top!Wear them with your favorite jeans, shorts, jean shirt, and baseball cap! Longer length Unisex T-Shirts: Made of super-soft fabric, these boyfriend fit tees are sure to be your favorite!